It is perhaps ironic that Canada, a country considering rather draconian regulations for cryptocurrency businesses, is to play host to what organizers claim will be “one of the largest planned international bitcoin events to date”. 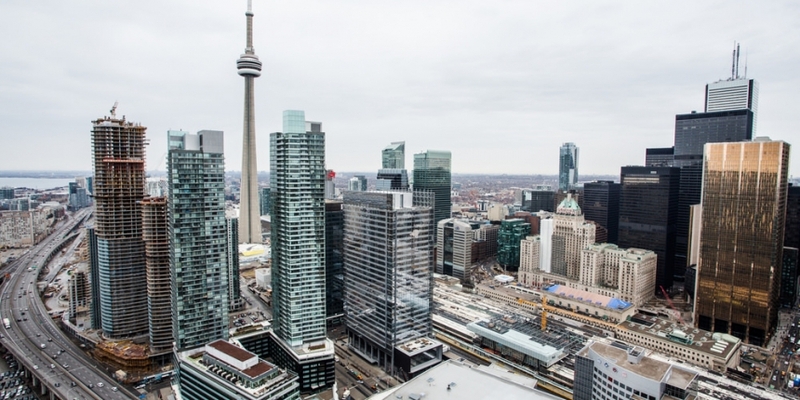 The event, dubbed “Bitcoin Expo 2014”, is being hosted by the Bitcoin Alliance of Canada (BAC), and will take place in Toronto from 11th-13th April. According to the BAC website, the prevailing theme of the event will revolve around the “growth and development of bitcoin communities worldwide with a focus on collaborative and decentralized models”. Prominent bitcoin leaders, speakers, and businesses will be talking at the event, and Canada’s bitcoin communities and business startups will be given special prominence on a dedicated stage. Income from bitcoin transactions is already taxable in Canada and, although the government has been somewhat hands-off in its approach to bitcoin in the past, it is now threatening to clamp down on the country’s burgeoning cryptocurrency industry. The country’s finance minister Jim Flaherty singled out bitcoin by name in his federal budget statement on 13th February, as he announced new laws to regulate cryptocurrencies. Furthermore, after the publication of an internal governmental report, there are fears that the North American nation may try to ‘choke the oxygen’ out of its bitcoin ecosystem by denying Canadians access to foreign exchange markets. 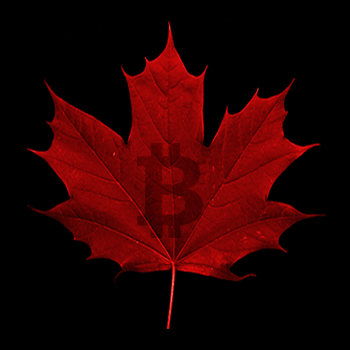 In spite of this, Canada currently has a thriving population of active bitcoiners and crypto companies, which the event organizers are keen to showcase. The BAC emphasizes, however, that this is an international event, claiming it will be carried out “in a collaborative way that will benefit bitcoin communities not just in Canada but also specifically in under-developed areas and in areas where Bitcoin is still in its infancy”. To that end, the BAC is offering scholarships to allow speakers, who might otherwise not be able to attend, the chance to make an appearance at the expo and “share valuable perspectives on bitcoin”. BAC says that the expo will be organized and run on a non-profit basis, with all proceeds to be “returned to the Bitcoin community in a crowdsourced way”. Master of Ceremonies at the event will be Andreas M Antonopoulos, entrepreneur and Chief Security Officer of Blockchain.info, while over 50 notable members of the international bitcoin community will be speaking, from CEOs to libertarians and proponents of Deep Web organisations. Notable among these are Charlie Lee, a software engineer at Coinbase and the creator of litecoin; Vitalik Buterin, co-creator of Ethereum, a decentralized mining network and software development platform; and Stephanie Murphy, co-host of the Let’s Talk Bitcoin podcast. Jason King, founder of Sean’s Outpost – a homeless outreach programme funded by bitcoin donations – will also be speaking. 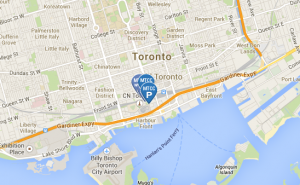 Bitcoin Expo 2014 will be held at Metro Toronto Convention Center, Canada’s largest conference facility,. The venue is situated close to the city’s financial district (view an interactive map here). 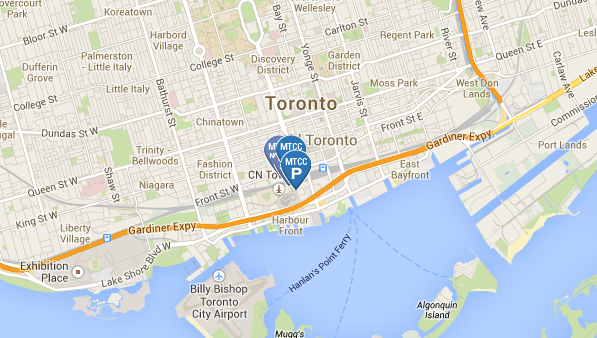 The MTCC has ample parking, and a wide variety of hotels and eateries within easy reach. Furthermore, Toronto is just an hour’s drive of the US border, for those thinking of cruising up from New York.